Mesaj mertx429 tarafından (15-07-2010 Saat 12:45 ) değiştirilmiştir. Mesaj EddiZ tarafından (08-07-2010 Saat 01:18 ) değiştirilmiştir. •NEW! Gameplay features have been added, now players have the ability to build production houses that produce valuable goods such as iron, wine, velvet and more. The building of production houses is accessible through guild masters in towns. Also players may visit these newly modeled scenes via the town menu. Svadya Şehirlerine Yeni Svadya Evleri Eklendi. •New, AI Behavior enables more realistic AI lord behaviors, such as AI lords collecting taxes. •Campaign difficulty has been rebalanced, hard mode is now even more challenging with AI lords recruiting troops faster. •Economy parameters such as taxes from fiefs and raiding outcomes, have been balanced. 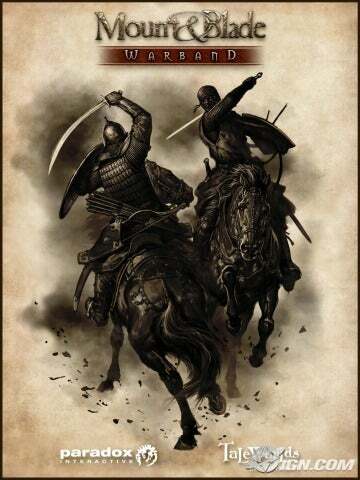 •The Khergit faction has been given some much needed love and as a result has had their troops and items rebalanced. Multiplayerde Kergit şapkaları ve Giysileri modifiye edildi. •Man-hunters and high tier slaver troops have been given an overhaul and have top tier troops equal to other top tier army troops. •Weapons that cannot be used to block can now do feint attacks. Bütün Balyozlar Savaş Balyozlarına ve Mızraklar da Demir Asalara Dönüştürüldü. •New flags for items are added and new operations are defined to give more freedom to modders. •Out of memory errors while rendering are now handled more properly. •Fixed a bug that caused AI lords to have too many high level troops. •Several bug fixes to the level editor. •Lots of other bug fixes and some healthy re-balancing/improvements in both single and multi-player modes. Mesaj Oloroi tarafından (13-07-2010 Saat 23:45 ) değiştirilmiştir. Mesaj sananeula tarafından (14-07-2010 Saat 18:44 ) değiştirilmiştir. Mesaj maklasaj tarafından (15-07-2010 Saat 14:58 ) değiştirilmiştir.